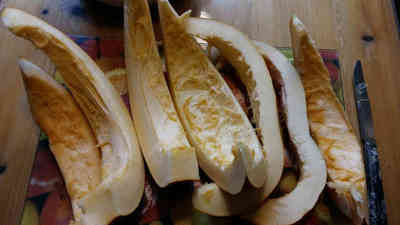 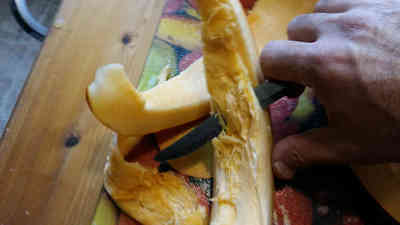 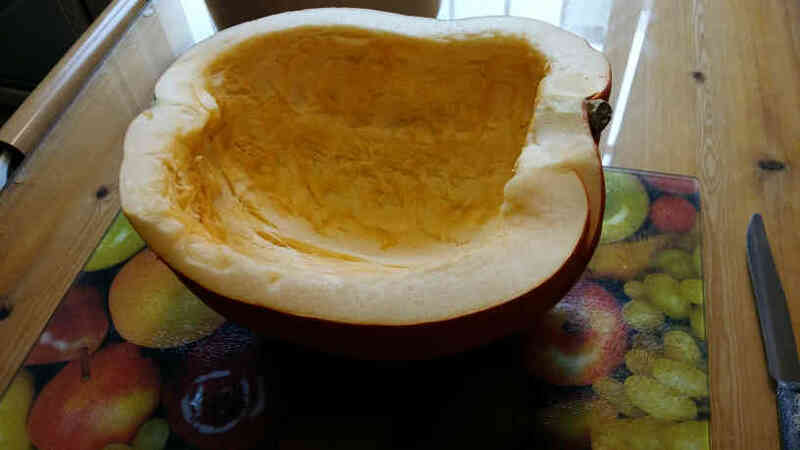 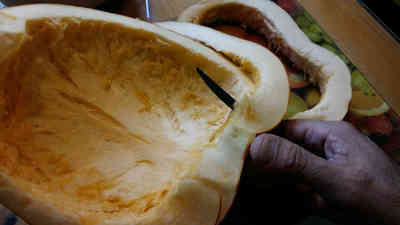 Cut the pumpkin into slice so you can remove the inner and outer peels. 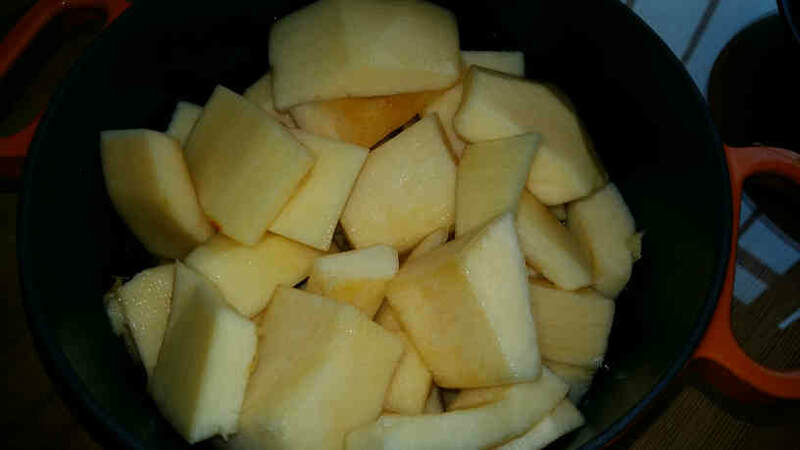 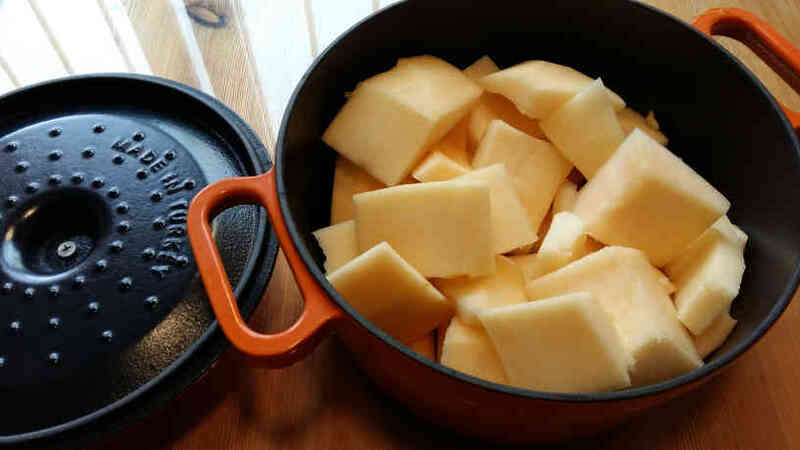 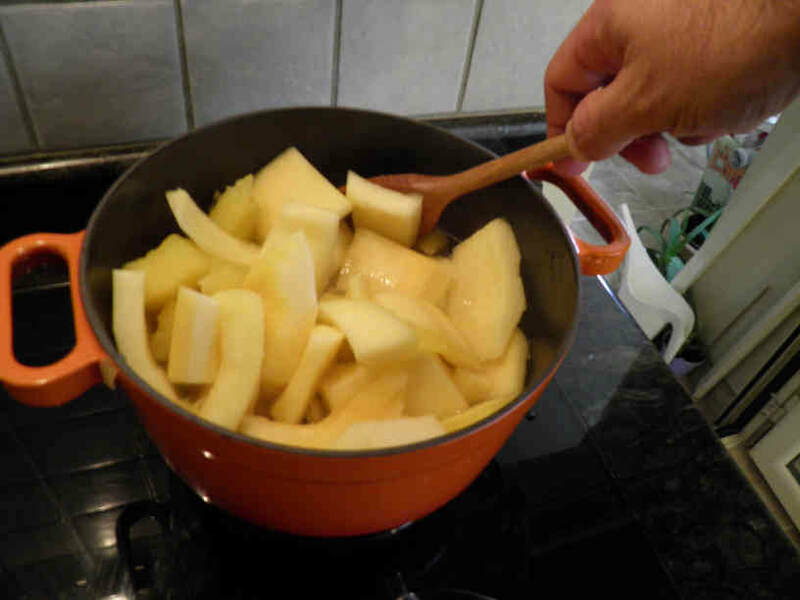 Cut the pumpkin slices into medium cubes, add water until they are half covered, add salt and put them covered on a medium heat. 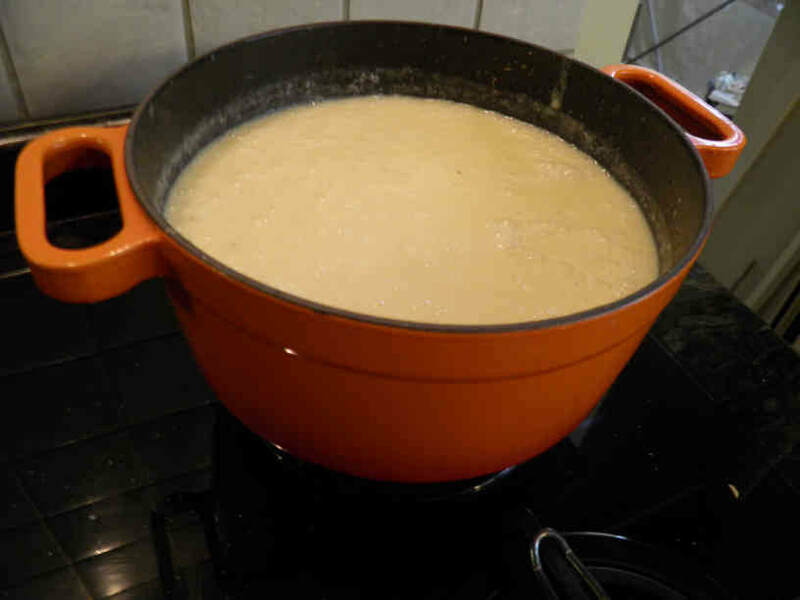 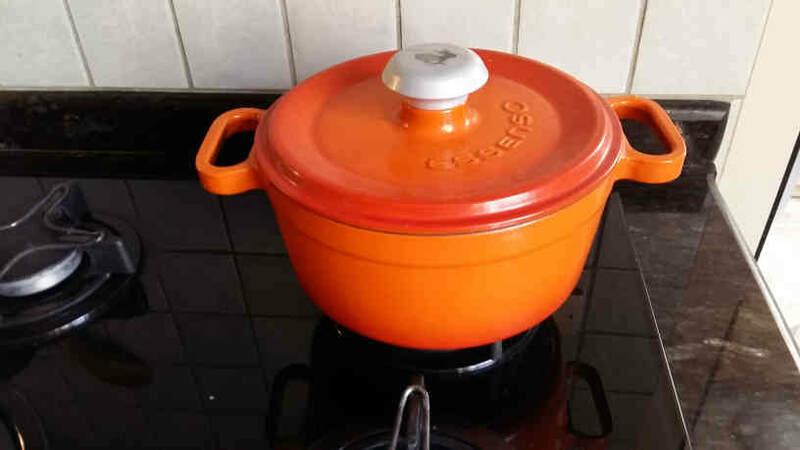 Cast iron cooking pots are preferred for better keeping both water and heat. 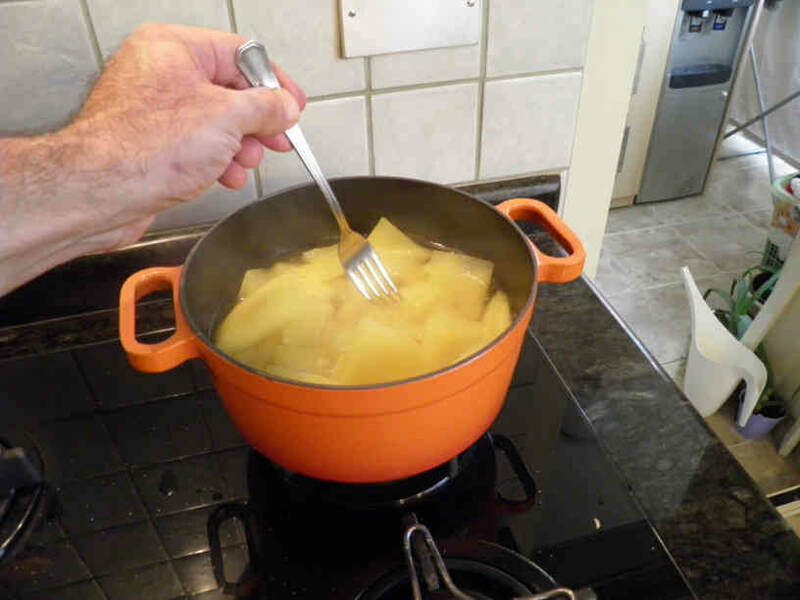 Stir them from time to time and test them with a fork after a few minutes until they are soft. 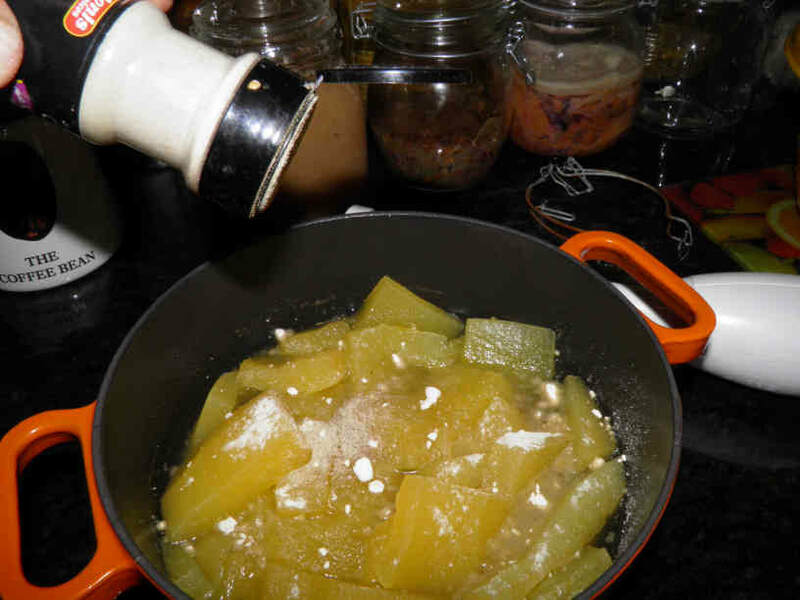 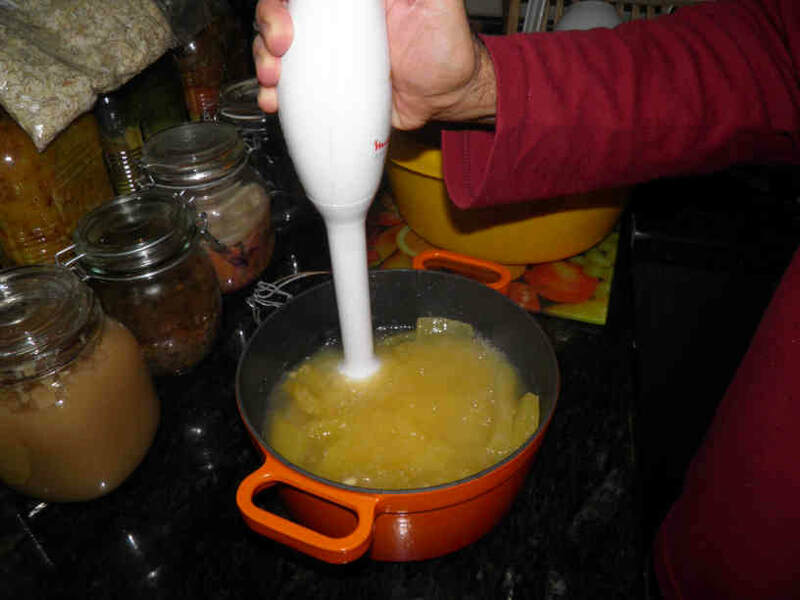 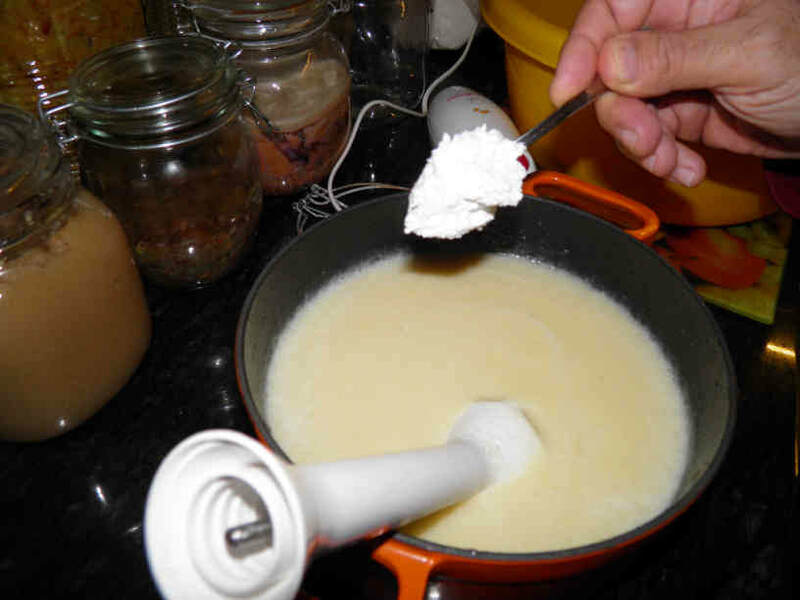 Mix well using an immersion blender. 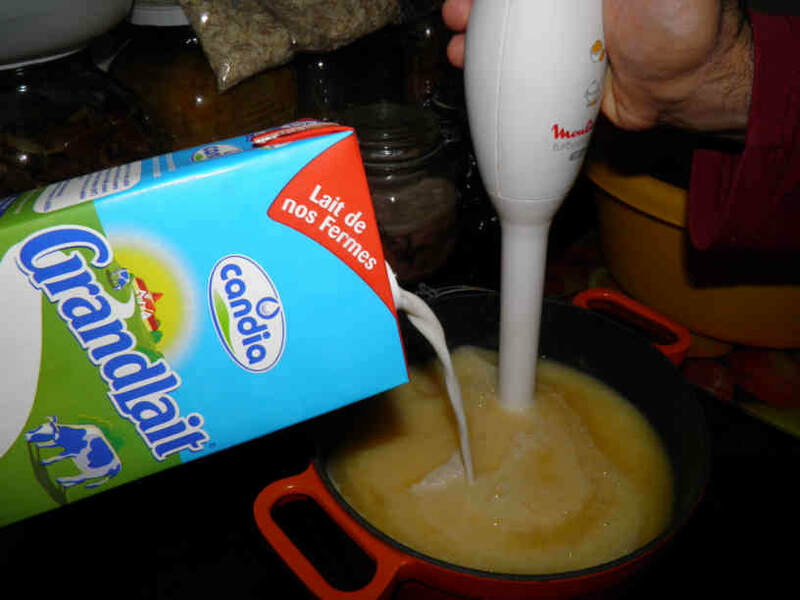 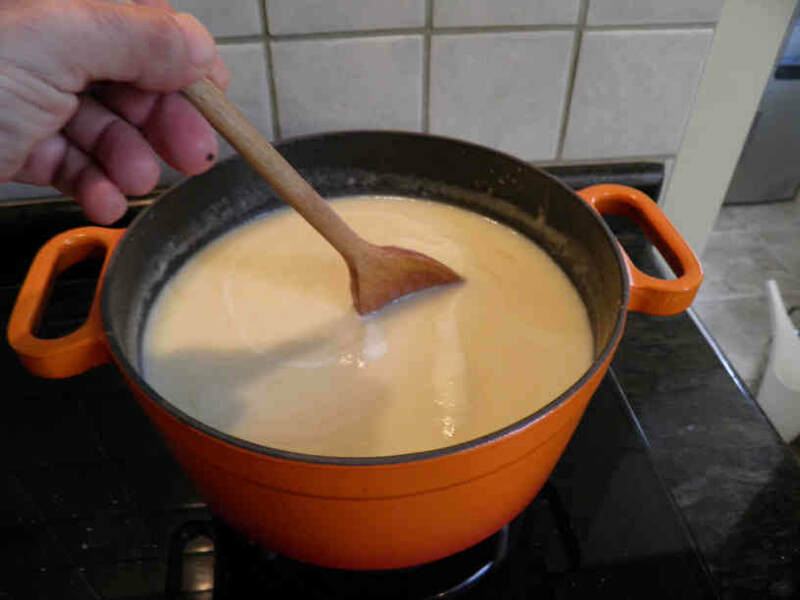 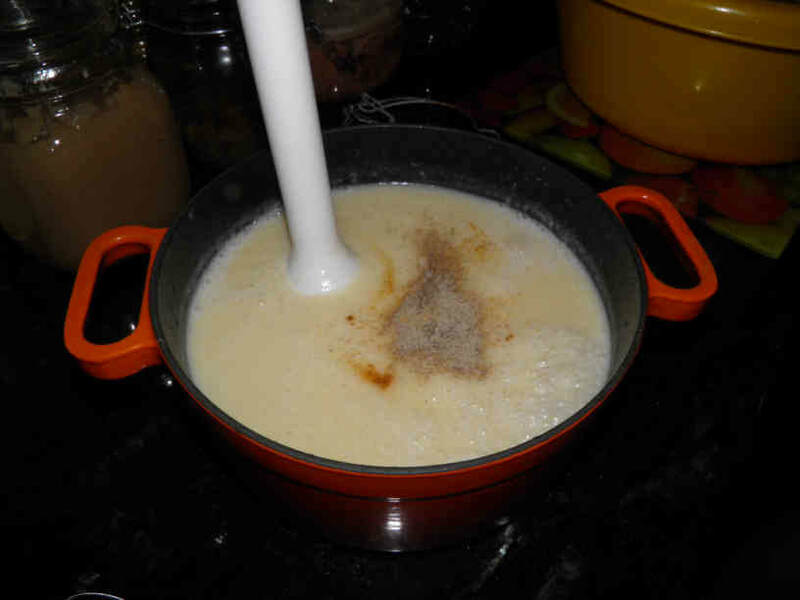 Add a maximum of one glass of milk and one or two teaspoon (s) of cream. This is when you can decide to make it light or not by using fat free milk and cream. 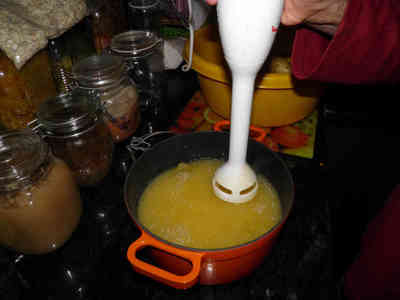 Mix again and taste again. 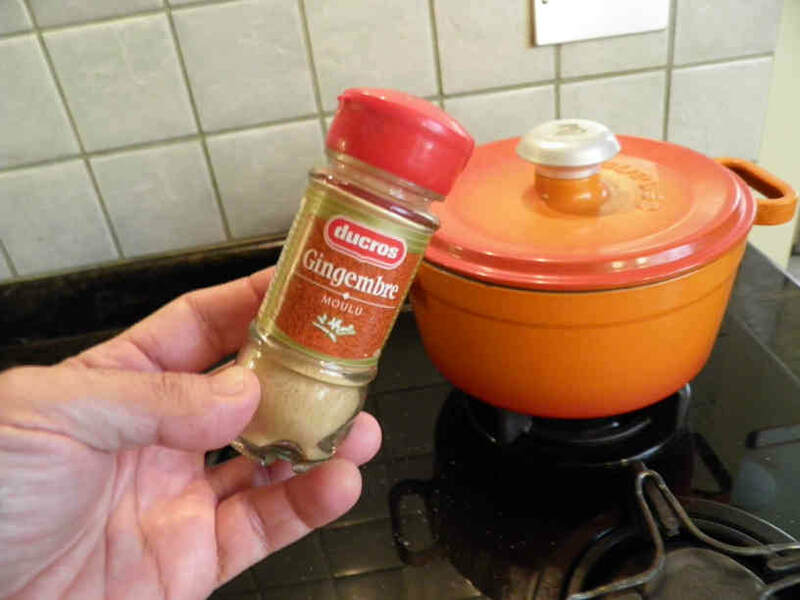 Add spices if needed to your preference and remix. Simmer at low heat for another 10 minutes while stirring with a wooden spoon from time to time.